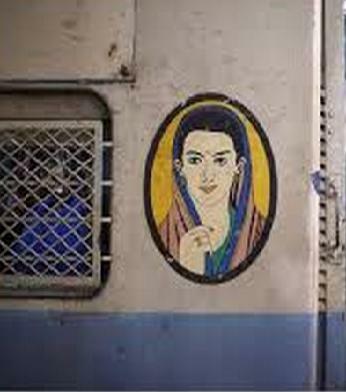 Western Railway announced that in a move towards ensuring safety of women commuters who travel by its local trains, Western Railway has installed Electronic Surveillance System (CCTV) inside a ladies compartment on trial basis. The system will be launched from 29th May, 2015. The CCTV in ladies coaches is being installed in three EMU rakes initially. 4 to 8 surveillance cameras are planned in each ladies coach to provide maximum coverage of entire area. The system records the data in a digital video recorder which has sufficient capacity to store the data for 30 days. This data can be used by investigating agency, in case of any incidence involving security of lady commuters. The cameras have a resolution of 3 mega pixels with wide angles to cover all corners of the compartment. It is installed in such a way so that the entry and exit of the compartment is covered completely to capture images of all who enter and exit the compartment. These cameras are customized for requirement of the Railway and are based on traction technology that can withstand shock and vibrations as trains often clock 80-100 kmph on suburban section. The introduction of electronic surveillance system in ladies compartments will increase the sense of security among women passengers. The doors will take 2 – 2.5 seconds to open or close. There will adequate ventilation inside the coach when the doors are close as more louvers have been provided above the door. The system will not affect the punctuality of services as there will be no change in halt timings. There will be Guards inside the retrofitted Ladies coach during the trial runs. The automatic door closing mechanism developed by Faiveley company. In case of any obstruction the door will automatically reopen and after a few seconds close again. If the doors open when the train is in motion emergency brake will automatically be applied and the train will halt. If the automatic door closing system fails, it can be isolated from the guard’s cabin after keeping the door open for the rest of journey till it is fixed in the car shed. One emergency egress device has been provided in the coach to open the door from inside, another has been placed outside the coach’s under frame to open it from outside.